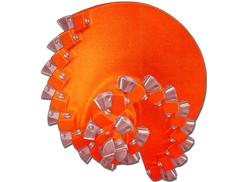 About | Auger Technologies Inc.Auger Technologies Inc. About | Auger Technologies Inc.Auger Technologies Inc.
Based in Harrison, Ohio, Auger Technologies Inc. is an innovator in auger technology with its revolutionary line of Alaskaug augers. We sell auger heads, kelly bars, and all parts to fit your auger needs. We offer a variety of cutter heads to match the requirements of your application. Alaskaug heads are heat treated cast steel for maximum performance and life. Heads are available as pin-on interchangeable units of mounted on flight sections configured for digger derricks or production type diggers. We strive to operate our business with the same dedication and determination we use to craft our products. We value both our customers and employees and treat everyone with the utmost respect.